Blasphemy | Hayat Alvi, Ph.D. 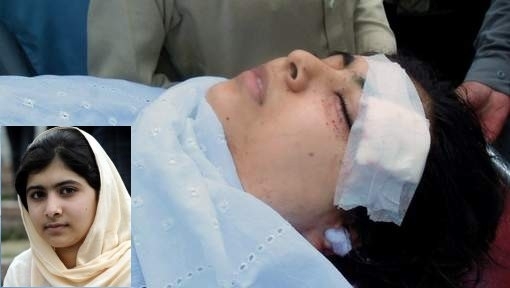 The shooting of the brave Pakistani teenager, Malala Yusufzai, underscores a reality, without exaggeration, about the degree and severity of misogyny of Islamic extremists. The shooting, which the 14-year-old activist and campaigner for girls’ education survived, is an ever-growing stain on Pakistan’s fabric of militancy and mindless misogynist orthodoxy. The list of threats and violence against women and liberal voices is long. This week BBC profiled an Afghan female rap artist, who is a proud patriot, yet receives regular threats by militants, including threats of acid attacks. In Dagestan, militants murdered the fourth Sufi cleric this year. What drives these hyenas to commit senseless acts of violence against innocent civilians and even children? Are they so threatened by girls that they have to resort to such tactics as acid attacks and shootings of school buses? Is this what their seminary curricula have taught them, to hate everyone who doesn’t conform to their own way of thinking, and to fear girls, especially educated ones? I once reprimanded my students for using the word “barbaric” for the Afghanistan-Pakistan region, but now I lament my actions. The behavior of these militants and extremists, which are not restricted to the Af-Pak region, is beyond barbaric. They transcend the Dark Ages in their regressive madness and extremes. They make me hate the news and cringe every time I reach for BBC or NPR. They are a dark cloud hovering ominously over the “modern” Muslim world today, and sadly many Muslims remain defensively in denial or apologetically rationalize the existence of these ugly elements, or re-frame Shariah (Islamic law) to distance themselves from such ideologies. Bullying innocent people into submission and conformity, resulting in religious fascism that does not tolerate dissent, nor does it tolerate women’s rights to choose how they dress, live, acquire an education, work, and marry or divorce. The end result of this religious fascism is nothing but destructive, oppressive, intolerant, and violent, authoritarian male-dominated communities living anachronistically in a 7th century time warp. In fact, that itself is an untruth, because much of these extremists’ attitudes and behaviors pre-date Islam. Yet, they insist on attributing their take on Islam as replicating the time of the Prophet Muhammad in 7th century Arabia. Still, even the latter was not such a shining example of women’s emancipation and rights, certainly not by modern standards, nor was it brimming with religious tolerance and harmony. Pre-Islamic Arabia fared even worse of course, but to compare these historical contexts to modern times is a non-starter. Hence, the extremists’ backward regression is far worse than anticipated. 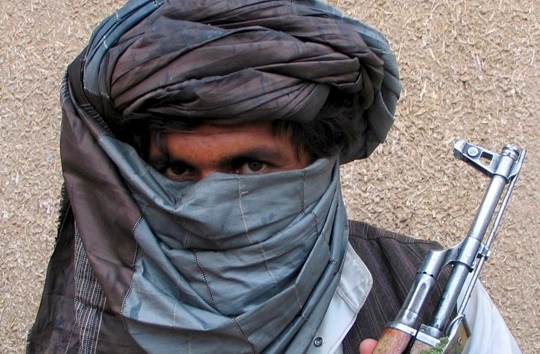 We all thought the Taliban were the worst when they emerged in the 1990s, but now they have parallel groups and ideologies that mirror them in many respects. And we have the Saudis to thank for the proliferation of Wahhabi / Salafi ideologies that are inspiring these extremists and militants. 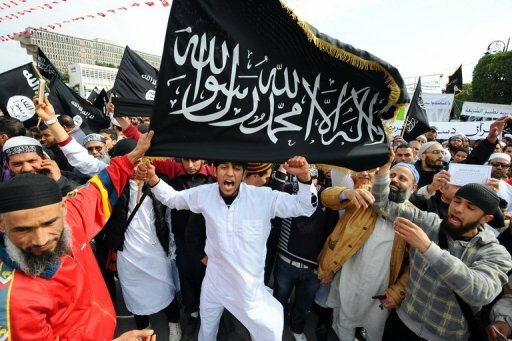 “Wielding sharp tools and swords, the protesters went on the attack in the Tunis suburb of Manouba after police arrested a Salafist suspected of assaulting the head of the suburb’s public-security brigade, Khaled Tarrouche, interior ministry spokesman, said. ‘There has been a reinforcement of security, of the National Guard, of the army to prevent any retaliation’ by the Salafist movement, Tarrouche said on Wednesday. These extremist elements are enemies of knowledge. They are haters of peace and harmony. They are the most intolerant towards tolerance. Muslims must not bury their heads in the sand about this. There is way too much at stake.